Spray onto towel dried hair following Blonde Life regimen. Comb through, blowdry and style as usual. 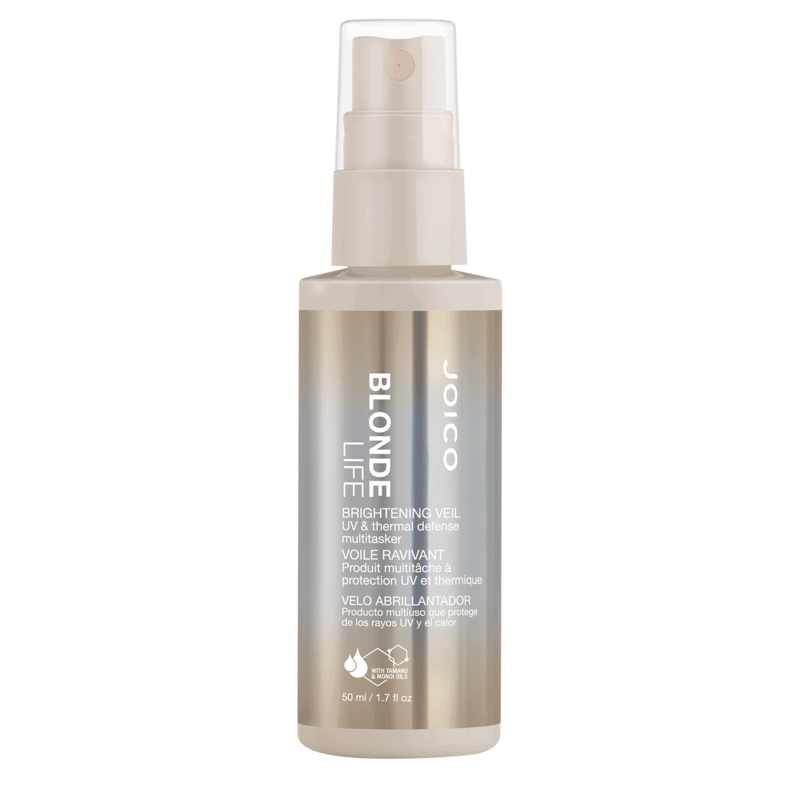 Daily to keep your blonde bright, soft, shiny, strong and protected from damaging UVA/UVB rays. For the ultimate in bright, brilliant blondes be sure to use Brightening Veil with the full Blonde Life care regimen including Brightening Shampoo, Brightening Conditioner and Brightening Masque.Spray onto towel dried hair following Blonde Life regimen. Comb through, blowdry and style as usual.